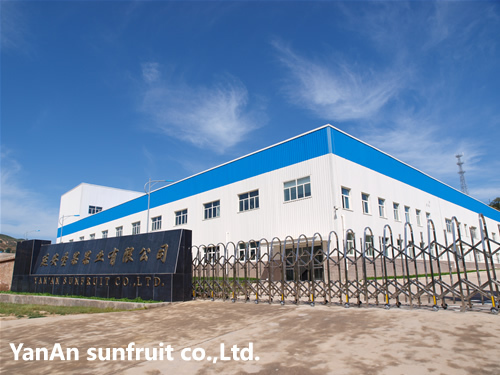 Company name YanAn sunfruit co.,Ltd. 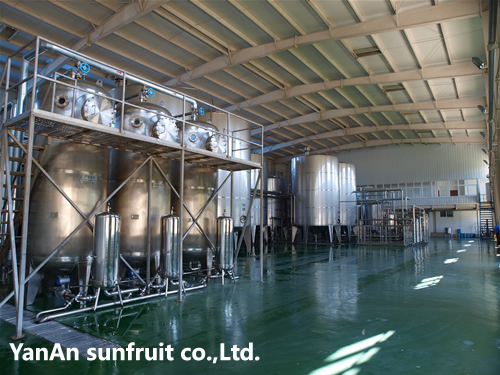 As being engaged in apple juice concentrate exportation since 1996, we’ve acumulated great of experience in juice field and enjoying a high reputation among our customers and craft brothers. 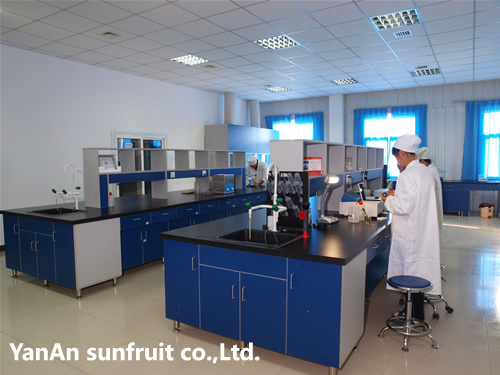 Especially, to maintain a stable supply of goods and provide better product, we had set up our plant – Yan’an Sunfruit Co., Ltd. in North Shaanxi, China since November, 2007. 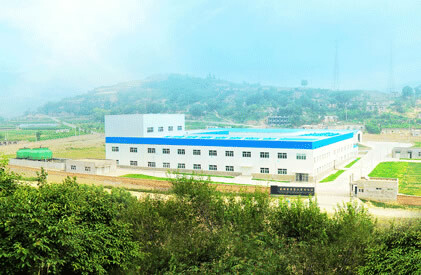 A leading international manufacturing process is adopted within the plant and advanced equipments are applied in production, inspection and measurement. Moreover, the ISO 9000, HACCP quality control systems are properly applied to guarantee the total quality management as well as the excellent source. Thereby to provide the best product to our clients. Accoding to the nature of these good apples and the advanced manufacturing methods, we devised a safe as well as efficient processing line. 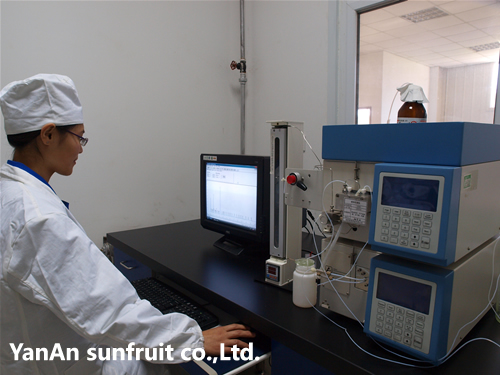 Meanwhile, the most effective equipments have been applied in the manufacturing, monitoring and measurement. Additionally, a batch of experienced production managers togather plus the strict ISO9001 system and HACCP system, in order to make sure the efficient process and safe product. In order to guarantee the safety and heathy of the product to our customers, foster a high-quality image of the product, we spare no effort to execute the qualified quality control system. 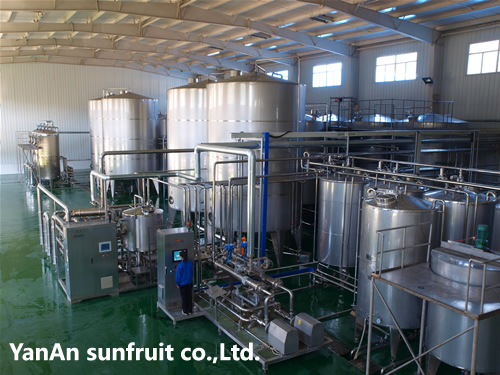 From the adoption of the raw material to the transportation of final product, each step has been well-designed and rigidly enforced to guarantee every drop of our product juice is the best. 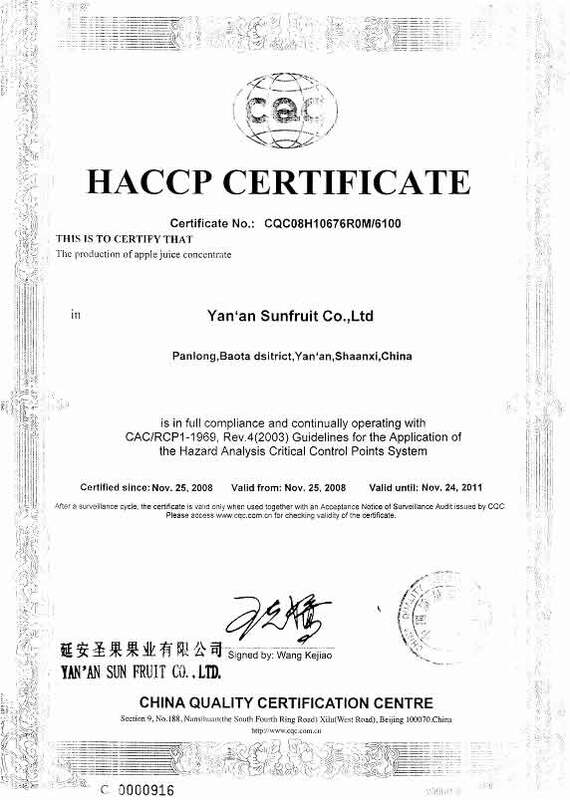 We’ve passed the ISO9001 and HACCP system and regard them as the basic rules of the operation. 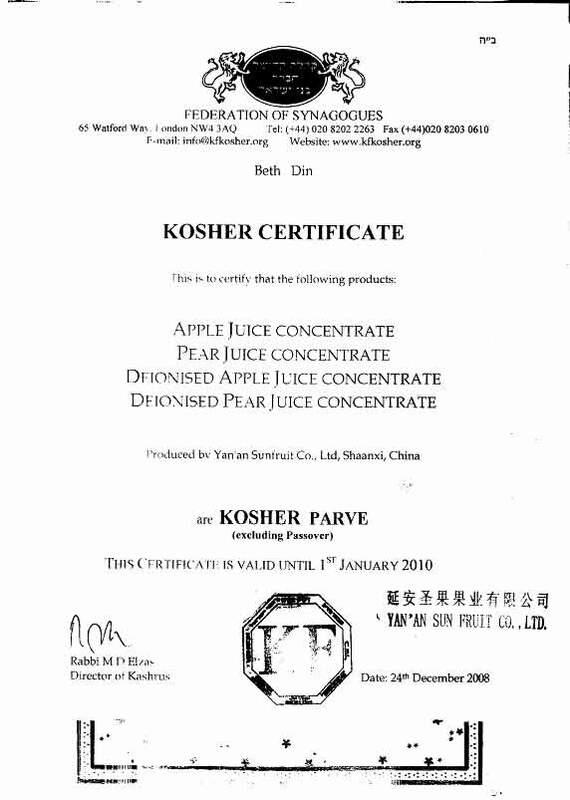 Moreover, we’ve also passed the KOSHER certificate, join in the SGF association etc. According to multi-angle restriction of quality from third party, we are doing our best to provide the best product to our customers.